Amazon is offering the Leeo Smart Alert Smoke and Carbon Monoxide Remote Alarm Monitor for just $30, a 40 percent discount and the lowest price we’ve ever seen. While smoke and carbon monoxide detectors are important to have, almost none of them let you know if there’s going wrong when you’re not at home. The Leeo fixes that by alerting your phone whenever you go off, 24/7 365 days a year. 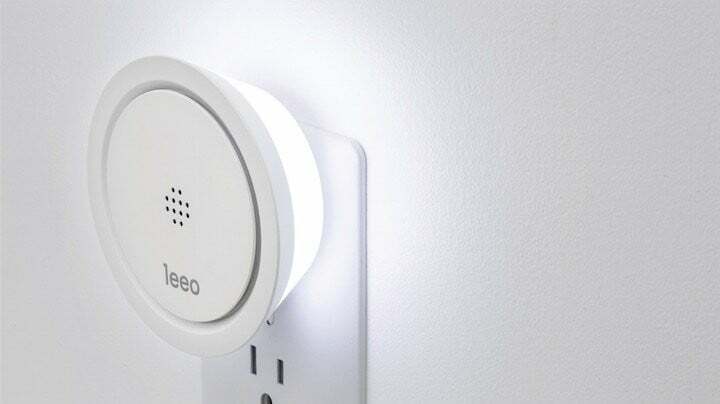 The Leeo is an internet-connected microphone that’s basically always listening to your existing alarms throughout your house. It’s capable of alerting emergency services such as 911 or even your neighbors if you so choose. What’s more, there are no monthly fees and it works with the smoke and CO alarms you already have, giving you connected home security without the cost. It also has a cool, built-in LED that glows in over 16 million colors. People love this enough to give it a 4-star rating. For $29, we think this is a heck of a bargain.